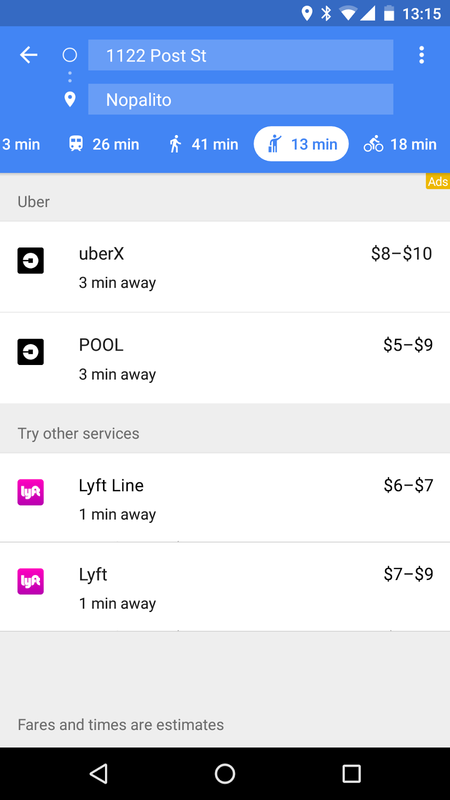 Back in March of last year, Google introduced a ridesharing tab into Google Maps, allowing anyone to see potential pricing and timing for ordering an Uber or Lyft ride. 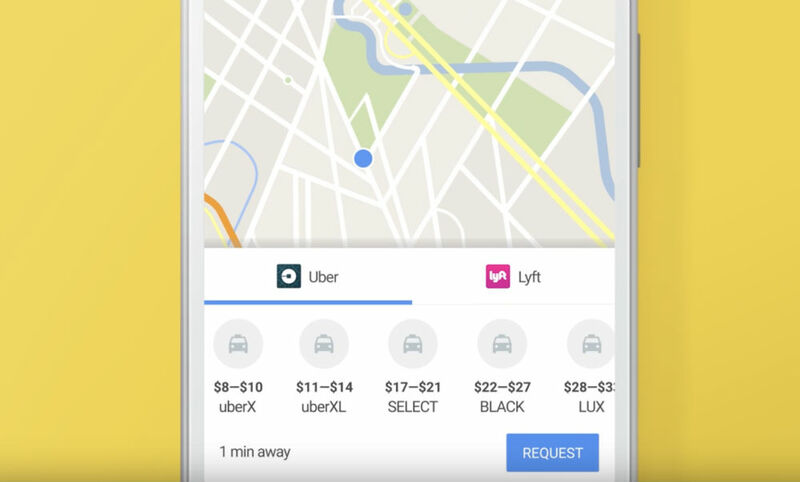 Today, Google is introducing a streamlined experience, bringing the ability to book those rides directly from Google Maps. Instead of seeing a line of text that stated how far away your Uber or Lyft is, plus the pricing quote, users will now get an overview of where the cars are, just as if you were using the dedicated Uber application. Not only that, but the old experience used to direct you to the 3rd-party applications. With the change, finding a ride and ordering it all takes place in Google Maps. 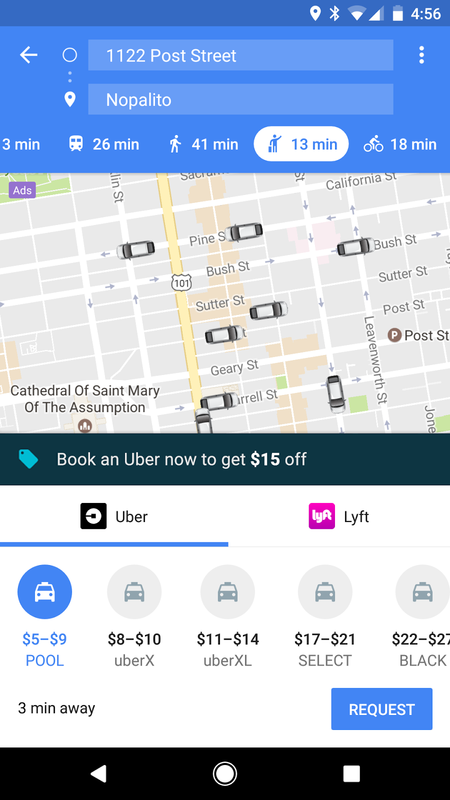 The changes are rolling out right now to the Google Maps app for Android, so be sure to go grab it if Uber or Lyft is your thing. So Ummm, the HTC U Ultra, Eh?